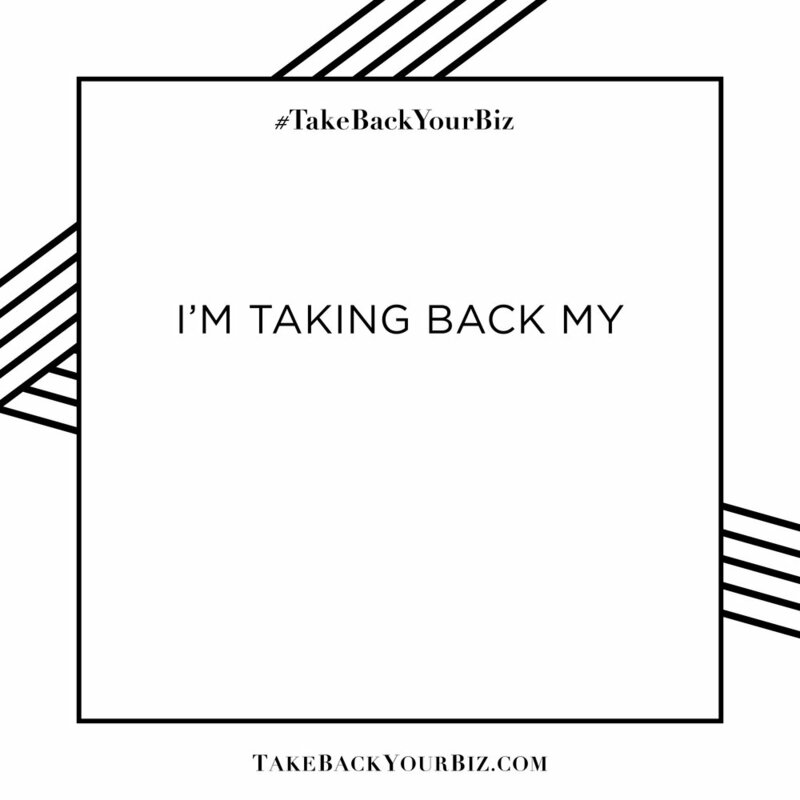 Woohoo, I'm so glad you're ready to #takebackyourbiz!! We believe that freedom and passion are important— and probably the reason most people start their businesses. Too many business owners are drowning in overwhelm in their businesses, and I don't want you to be one of them! It's time to #TakeBackYourBiz and take back your _________. 1. Head on over to the Ideas to Impact Facebook group to watch the replay of the challenge videos! 2. Grab the workbooks below, print them, and fill them out. 4. Post to the Facebook group what you discovered about yourself so far in the challenge! Do you have a non-negotiable you'd love to share with us? Join the movement and let the world know what you're taking back! Feel free to use these graphics to customize with what you're "taking back" — or create your own! I'm all about staying on-brand, so I totally get it if you'd rather take a selfie or design your own quote graphic. (Pro-tip: if you create a carousel post in Instagram, only the top one needs to be branded in order to keep a pretty feed)! 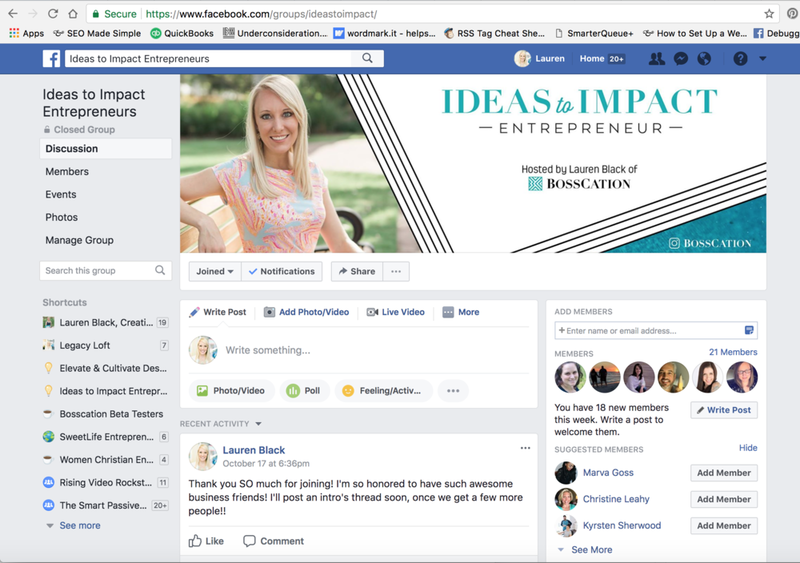 Make sure to join us in the Ideas to Impact Entrepreneur Facebook group, to keep up with your new biz besties and follow along with the challenge! Want more help ditching the overwhelm?